The duo are pairing up to build “Autono-MaaS” vehicles. The $200 bln carmaker gets introduced to Masayoshi Son’s stable of ride-hailing apps and his telco gets a big potential data customer. As wild bets proliferate, for now, this one helps Toyota catch up on the buzz. 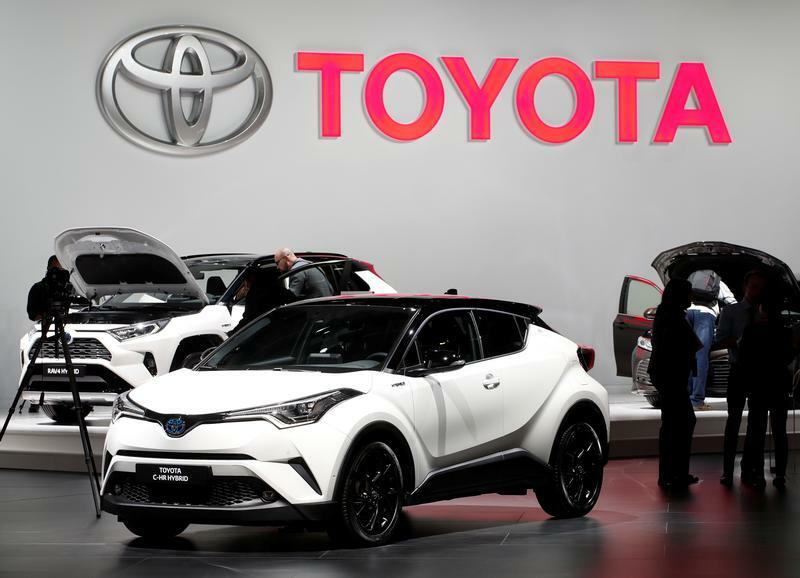 The Toyota C-HR Hybrid is seen during the first press day of the Paris auto show, in Paris, France, October 2, 2018. Japanese companies Toyota Motor and SoftBank announced on Oct. 4 that they would team up to develop transport services, including autonomous vehicles, through a new joint venture to launch before the end of April 2019. SoftBank will own just over 50 percent of the new entity, called Monet. Junichi Miyakawa will serve as the venture’s chief executive. He is currently the chief technology officer of SoftBank.